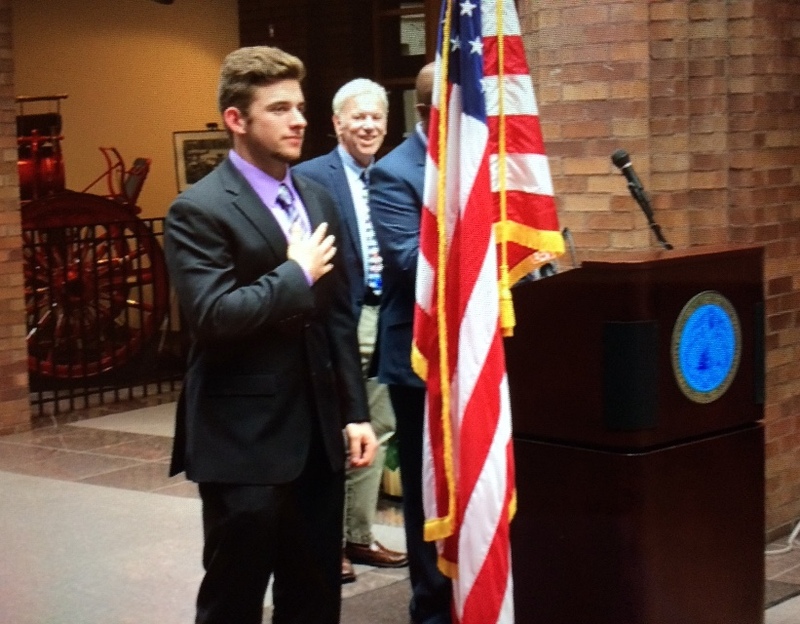 Logan Driscoll honored at New Haven's 380th Birthday Celebration in the town's city hall atrium. 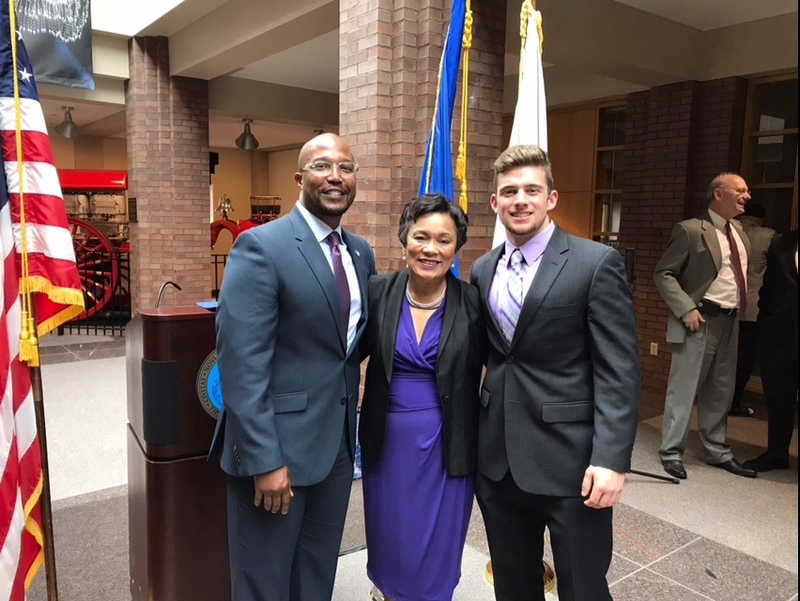 Logan Driscoll was recognized for Driscoll Cares and his civic participation in the Greater New Haven Region by the City of New Haven at its 380th Birthday Celebration. 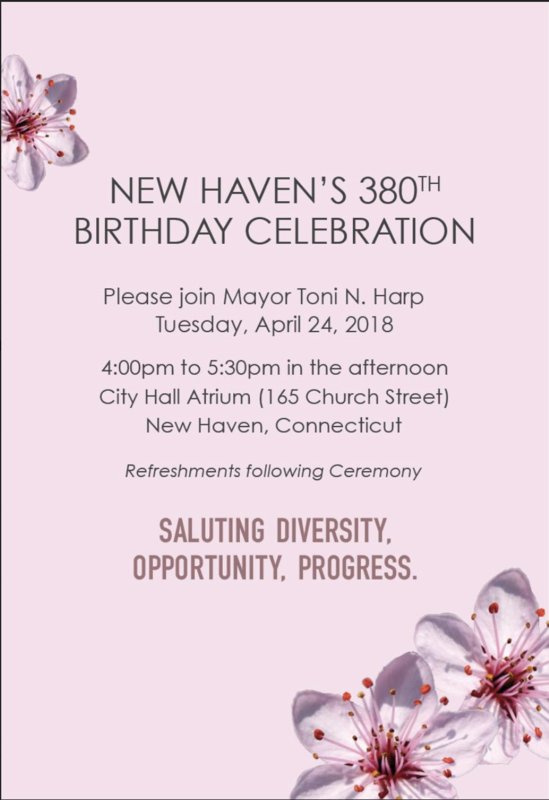 Logan escorted New Haven Mayor Toni Harp into the City Hall Atrium and led the assembly in the Pledge of Allegiance.